It is currently cold and flu season and I am doing everything that I can to avoid being sick. Just like everyone else, I hate being sick so much so I try to take care of myself all year so that I can avoid being sick as much as possible. Sometimes, typically once or twice a year, I can't avoid a cold and end up getting sick. At that point, my goal is to feel better as soon as possible. When I notice myself not feeling well and am seeing the first signs of a cold, these are some of the things that I do. 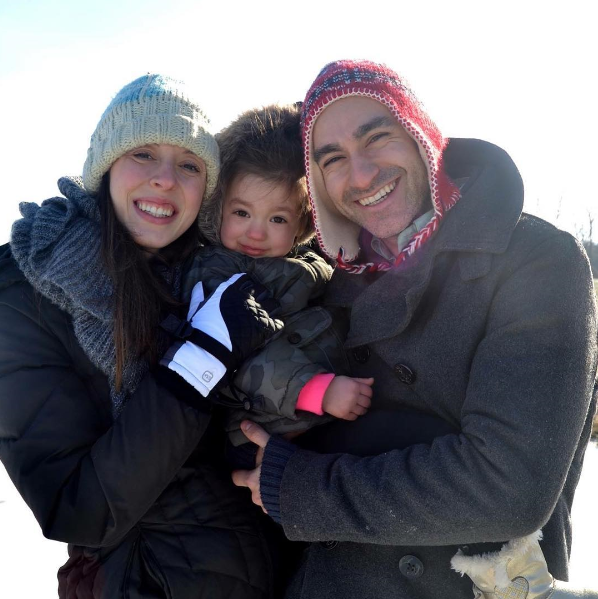 We love being outside- the goal when getting sick is to get better ASAP so we can enjoy the outdoors more! When I notice that I am getting sick, I take everything down a notch. I do not stop exercising (unless I feel awful of course) but may not go to an outdoor festival where I plan to spend 4 hours in the freezing cold. Taking a step back I believe helps my body to get better quicker. You all know that I am all about hydrating. When I start feeling poorly, I drink all the decaf tea in the world. Hot beverages may not cure a cold but they can help make you feel a bit better. Hydration is important in feeling your best on a daily basis and when you are sick, it is even more important. Your body requires extra fluids when you are sick so drink plenty of hot tea and water (and some coffee is fine too) to get back to feeling your best in no time. Try my Smoky Sausage, Kale and Quinoa Soup for a boost of nutrients! Though you may not feel like eating a lot when you are sick, eating well is important to getting yourself feeling better. Load up on fresh fruits and vegetables. A great option is a veggie packed soup. The hot broth will feel good on your throat and the vegetables are packed with vitamins and minerals to help you feel your best. This is hard for me to do because I am a go, go, go type of person but when you are sick, rest is so important. I have a really, really hard time taking a nap but when I am sick, I make sure to go to bed early so that my body has plenty of time to heal itself. Even if you can't take a nap, take some time to just lay down and let your body rest. When you are sick, that is the perfect time to relax and watch some movies and just lay low until you get better. 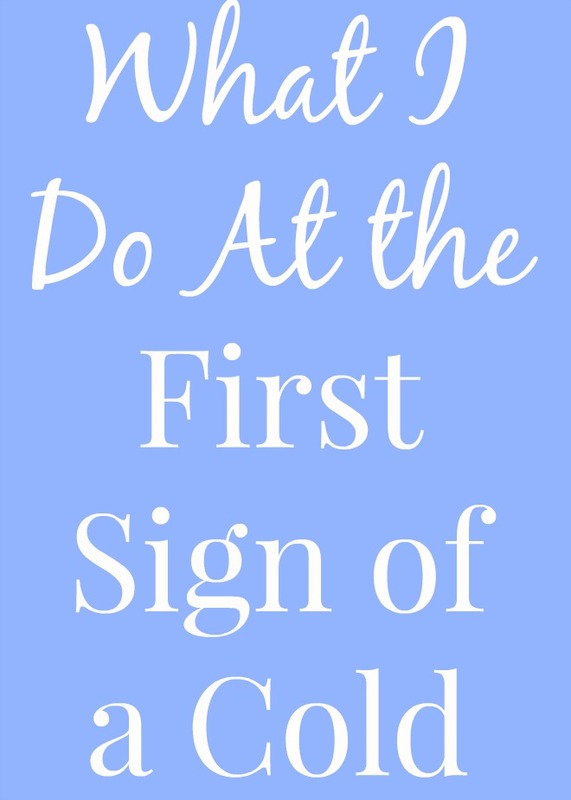 I am all about symptom relief when I am sick. Of course I try to feel better by drinking hot tea, eating well and resting but when that doesn't work, I turn to some over-the-counter medication for symptom relief. 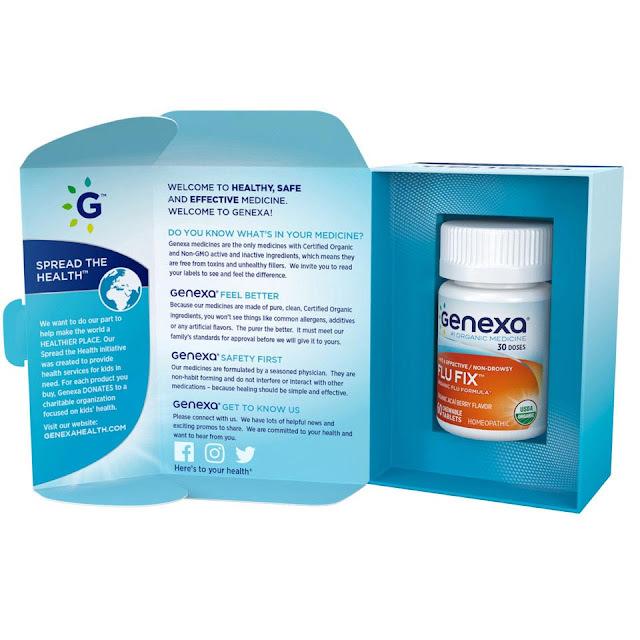 I was recently introduced to Genexa® which is a line of USDA certified organic homeopathic medications. They have 11 different medications which treat all different types of health issues. All of the medicines are free of gluten, lactose, dairy, eggs, wheat, soy, fish, nuts, artificial colors, artificial sweeteners and preservatives. 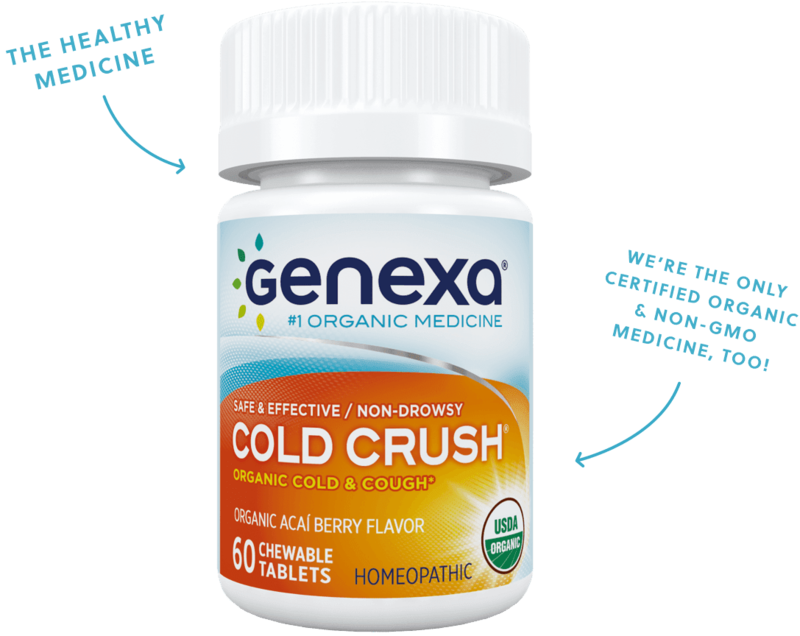 For a cold, Cold Crush® can be helpful for relieving cold symptoms, cough, congestion, mucus, sore throat, runny nose and sneezing. They come in chewable tables that are acai berry flavored which makes them a little easier to take. If you have the flu, they also have Flu Fix™ which can help relieve body aches, headaches, fever, chills and more. They also have products to help with sleep, allergies and stress. They have a few children's products as well including the Cold Crush®, allergy medicine and one to help with calmness. This post is sponsored by Genexa. All opinions are my own.